Book News: J.K. Rowling's Second Crime Novel Coming Out In June : The Two-Way Also: Wendy Doniger on having her book yanked in India; Chimamanda Ngozi Adichie on what it means to be a feminist; a letter from Lewis Carroll. J.K. Rowling's latest book written under the pseudonym Robert Galbraith will be titled The Silkworm. 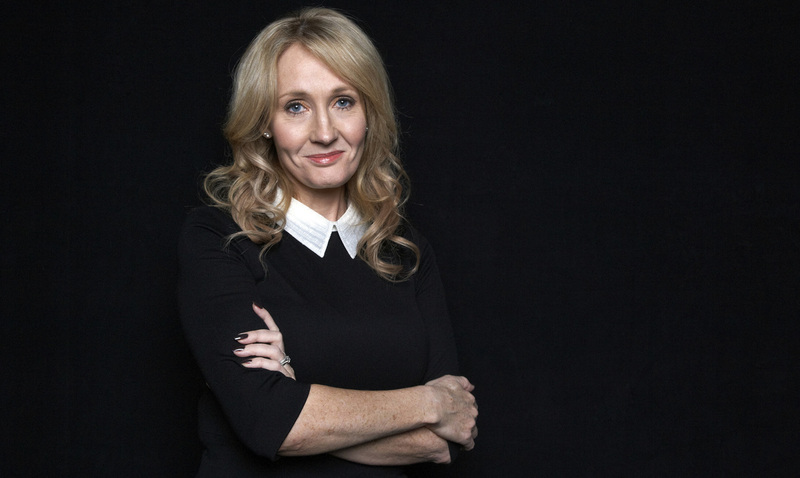 J.K. Rowling is publishing a second crime novel under the pseudonym Robert Galbraith in June. Rowling quietly released the mystery novel The Cuckoo's Calling last year as Galbraith, but her identity was leaked to Britain's Sunday Times. The second Galbraith novel, The Silkworm, also will feature private investigator Cormoran Strike and his assistant Robin Ellacott, but this time they are investigating the death of writer Owen Quine. According to a book description on the Galbraith website, Quine "has just completed a manuscript featuring poisonous pen-portraits of almost everyone he knows. If the novel were published it would ruin lives — so there are a lot of people who might want to silence him. And when Quine is found brutally murdered in bizarre circumstances, it becomes a race against time to understand the motivation of a ruthless killer, a killer unlike any he has encountered before." Rowling originally chose to write under a pseudonym so she could "work without hype or expectation and to receive totally unvarnished feedback," but it's fair to say that that won't be the case this time around. Wendy Doniger, the University of Chicago professor whose book was taken out of circulation in India after a Hindu group brought a lawsuit against her publisher, spoke to NPR's Robert Siegel on Friday. She said, "If the purpose of these gentlemen was to keep people from buying my book and reading it, it has backfired quite wonderfully. The book is much more popular than it ever would have been before." She said in an earlier statement that she doesn't blame her publisher, Penguin Books India, for withdrawing the book: "They were finally defeated by the true villain of this piece — the Indian law that makes it a criminal rather than civil offense to publish a book that offends any Hindu, a law that jeopardizes the physical safety of any publisher, no matter how ludicrous the accusation brought against a book." Americanah author Chimamanda Ngozi Adichie gave an interview to Elle magazine about writing, feminism and hair blogs. Asked what it means to be a feminist, she replied, "It means that I am present in the world, and that I realize that there is a problem with the way we've constructed gender. The expectations on women that most of the world subscribes to — I don't think we are born with them. I think we create them. I want a world where men and women have equal opportunities. I want a world in which the idea of a man being with man, and a woman being with a woman, doesn't cause a form of obstruction to anything that they want to achieve in their life." Lorrie Moore speaks to The New York Times about her forthcoming book and why she has political events — the invasion of Iraq, for example — as the background to her stories. "Often, as a story writer, you're told to leave that out — to focus only on the foreground and not bring the complications of the world into it because you're going to diminish something. But, in fact, that's the way life happens, and I don't think it diminishes it to be realistic." A letter by Charles Dodgson — also known as Lewis Carroll — that will be auctioned next month seems to show his dislike for fame, according to The Guardian. There are some people, he writes, "who like being looked at as a notoriety." But, he adds, "we are not all made on the same pattern: & our likes & dislikes are very different." The 1891 letter written to a friend states: "All that sort of publicity leads to strangers hearing of my real name in connection with the books, and to my being pointed out to, and stared at by, strangers, and treated as a 'lion'. And I hate all that so intensely that sometimes I almost wish I had never written any books at all."